Turkey has often looked like an odd appendix to the West: economically backward, inward looking, marred by political violence, yet a staunch NATO ally. But since the momentous changes in the world order of 1989, Turkey has become a major power broker and one of the largest economies in the world, albeit with ethnic and religious conflicts persisting. Kerem ï¿½ktem charts the contemporary history of Turkey, exploring such key issues as the relationship between religion and the state, Kurdish identity, Turkeyï¿½s relationship with Israel and the ongoing controversy over EU membership. 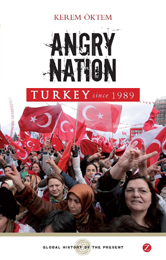 Readable but comprehensive, Turkey since 1989 is the definitive book on the countryï¿½s erratic transformation from a military dictatorship to a maturing, if still troubled, democracy.